The Amigo Foal Rug is an innovative rug that is designed to grow with your foal to last as long as possible, as oposed to other foal rugs on the market. The Amigo unique adjustment system allows the front and side of the rug to adjust, allowing this foal rug to grow by 6" in length. This rug can be used as both a turnout rug and a stable rug and is made of 600 denier waterproof and breathable polyesterwith a 200g fill for warmth. 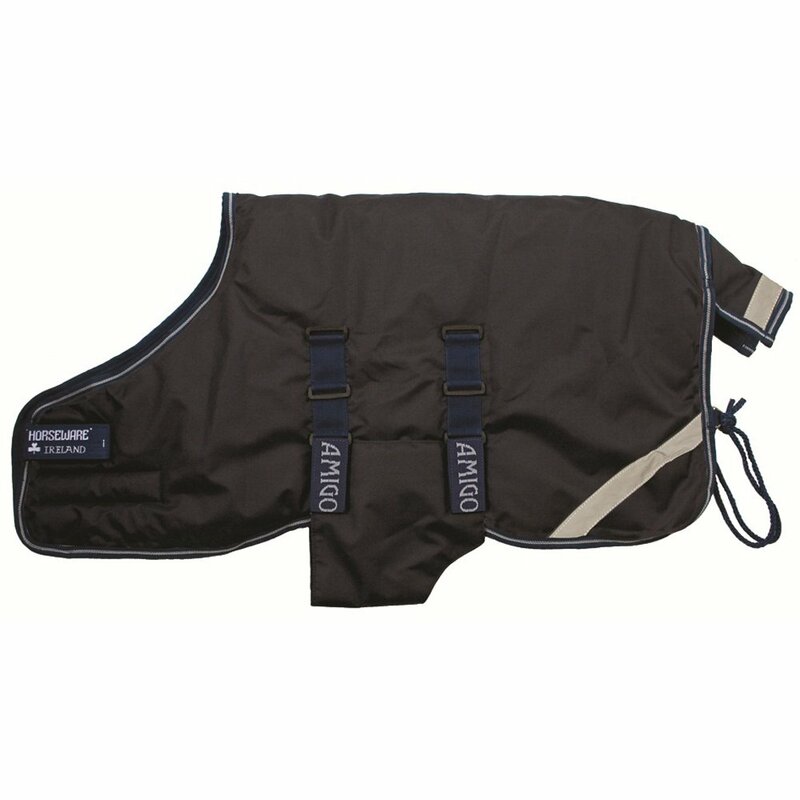 This Amigo Foal Rug also features a contoured belly arch and flap to allow for a snug fit to keep your foal as warm as possible.